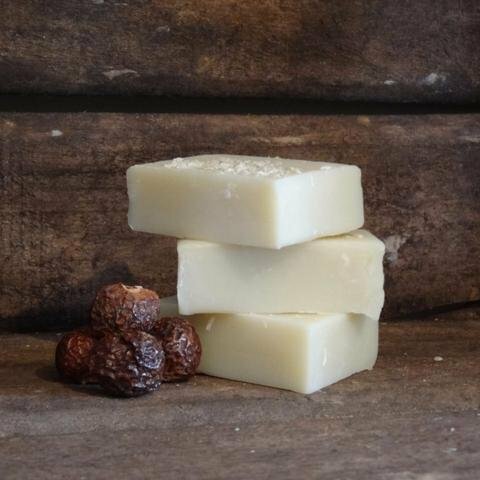 Living Naturally Coconutty Shampoo Bar is for coconut fans everywhere who love the benefits of this amazing fruit/nut/seed! A beautifully constructed shampoo with loads of organic coconut milk for superior leather and rice bran oil for added conditioning properties. Great for: nourishing & moisturising. Suitable for all hair/skin types, especially for dry or lacklustre hair/skin or inflamed sore skin. 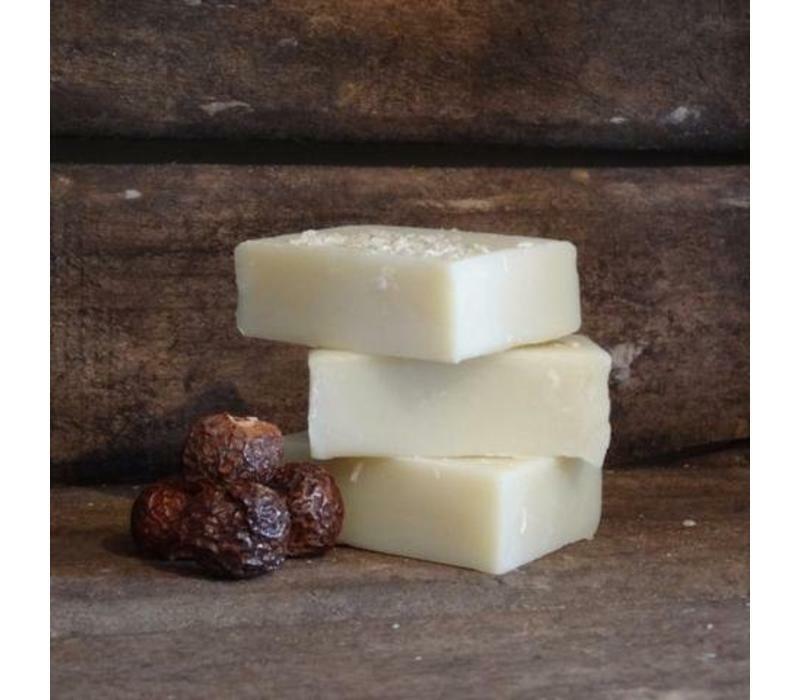 Organic Coconut Milk - is great for cleansing the skin by removing dirt and excess sebum. At the same time, it helps to keep the skin well hydrated and moisturized as well. Organic Avocado Oil - is good for moisturizing dry, brittle, and damaged hair. It's also great for deep conditioning, strengthening hair, and adding shine. The vitamins, amino acids, and high fat content promote healthy cell growth and are great for maintaining and healing dry, itchy scalps. Suitable for to use on hair, face, hands and body. Free from: SLSs, parabens, mineral oil, palm oil, artificial additives or fragrances. INGREDIENTS: Olea Europaea (Olive) Fruit Oil, Organic Sapindus Mukorossi (Soapnut) Fruit Extract, Organic Cocos Nucifera (Coconut) Oil, Organic Cocos Nucifera (Coconut) Milk, Organic Ricinus Communis (Castor) Seed Oil, Organic Persea Gratissima (Avocado) Oil, Sodium Hydroxide*, Organic Theobroma Cacao (Cocoa) Seed Butter, Organic Oryza Sativa (Rice Bran) Oil, Cocos Nucifera (Coconut) Dessicated.